For women, no matter what your ethnic background may be, hair care companies seem to have a solution for every “problem.” Fortunately, hair is never really a “problem,” no matter if it’s wavy, curly, straight or somewhere in between. Yes, styling hair can be challenging at times, and, finding the best products for your own individual hair type can be challenging. Throw in rain, humidity and wind, and the task of picking the best hair care products for your hair becomes even more challenging. But, caring for your own individual hair (the right way) can be done, if you follow a few routine steps and choose the right products for your hair. Caring for “African-American” hair is no different from caring for any other “type” of hair. African- American hair can be curly, wavy, straight, or somewhere in between. It’s not all the same. No matter what, hair must be washed and trimmed regularly, and regular conditioning will help maintain hair health as well. The types of products you use will depend on your own hair texture and whether it’s dry, greasy, limp, thick, thin, or thinning. Fortunately, there are many products on the market today that can help you achieve the best look for you, and help you maintain healthy hair. There are a number of effective products available for all hair types that are also vegan or vegetarian, and cruelty free. Although the following hair care companies are excellent choices, there are literally hundreds more, so you will have to do some research on your own. 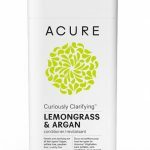 Some of the more well-known hair care companies that offer cruelty free hair care products include Arbonne, The Body Shop, ELON, Herbal Choice Mari, Nature’s Clean, Paul Mitchell and Pureology. Paul Mitchell provides an extensive line of hair care products that meet virtually every hair care need. Everything from shampoos, conditioners and styling products are made with the goal of creating healthy and vibrant hair without damaging the environment or hurting animals. Paul Mitchell’s product line includes over 70 high-quality products made with pure and natural ingredients. Paul Mitchell’s Tea Tree Line uses essential tea tree oil to stimulate and protect hair. The tea Tree line includes shampoo, conditioner, hair and scalp treatment, hair moisturizer, styling gel, firm hold gel, grooming pomade, styling wax and shaping cream. Tea Tree Special Shampoo: This invigorating cleanser purifies hair leaving it full of vitality and shine. The shampoo also provides a cooling sensation. Key natural ingredients include tea tree oil, peppermint and lavender. Tea Tree Special Conditioner: This conditioner works fast, does not weigh down hair and has a de-tangling element to help calm unruly hair, while providing nutrients to help prevent moisture loss. 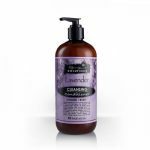 Key natural ingredients include tea tree oil, peppermint and lavender. A great place to find vegan, vegetarian and cruelty free hair care products is the Leaping Bunny website at www.leapingbunny.org. 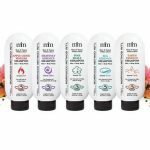 Another popular website to begin the search for cruelty-free hair care products is PETA’s (People for the Ethical Treatment of Animals) website at www.peta.org. Both of these websites offer lists of companies that meet product requirements for vegans and vegetarians. Tip: Try to avoid using flat irons and blow dryers. If you must use these hair appliances, use the lowest setting possible.